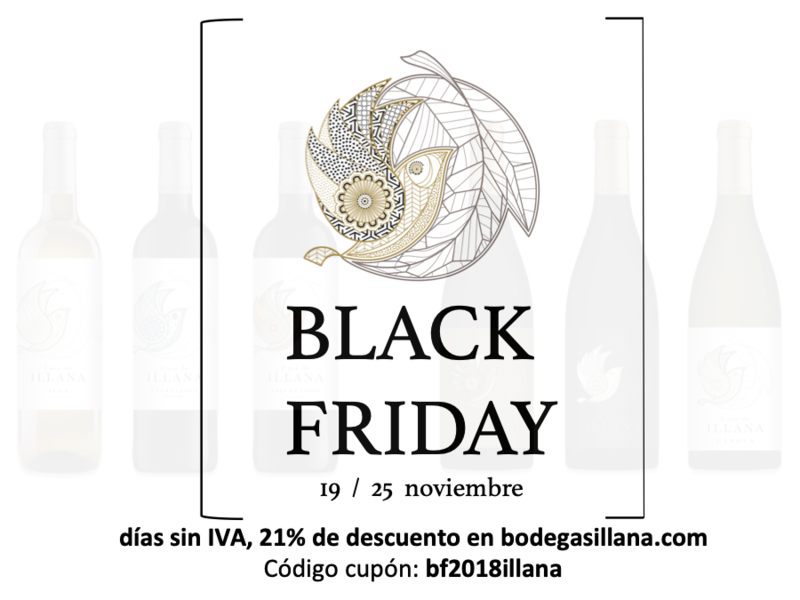 Black Friday in Casa de Illana wines. A whole week of discounts in our online shop. A whole week of discounts in our online shop. Our online shop joins Black Friday. Black Friday has its origin in the United States, where traditional stores opened the door to Christmas shopping with offers and special discounts. It takes place on the Friday after Thanksgiving day, the last big party before Christmas. Due to its enormous success, in recent years online shops have followed the idea by creating Cyber Monday. Advance your purchases and take advantage of all this week of discounts in our online store. From 0:01 hours on Monday, November 19th until 23:59 on Sunday, November 25th, all the wines of the store will have a discount of 21%. To benefit from this discount, you will have to use the coupon code bf2018illana.